This is a moderately advanced eosinophil (white blood cell of the polymorphonuclear leukocytes subgroup) whose nucleus is bilobed. Its diameter is approximately 12 micrometers. 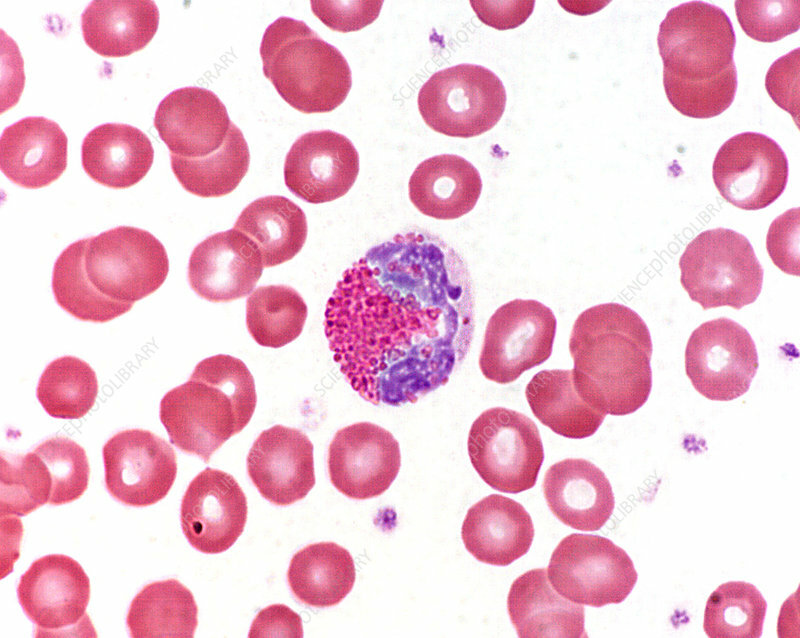 The cytoplasm contains distinctive relatively large round eosinophilic granules. Wrights stain.